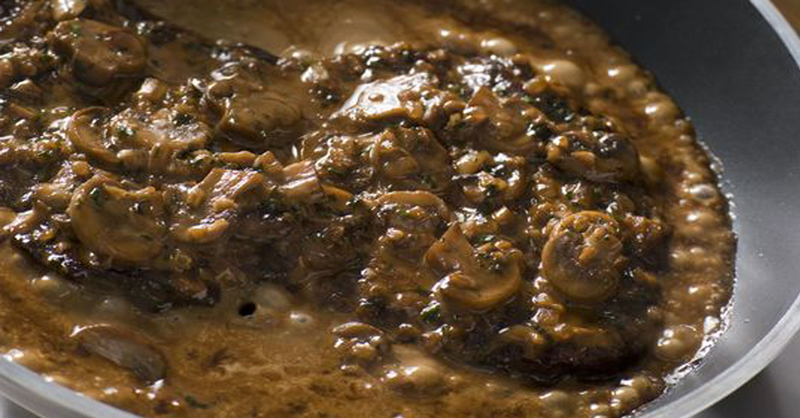 Steak Diane is a fantastic American dish we love! It’s essentially an American take on French cuisine. It’s a pan-fried steak with a sauce made from pan juices and flambeed. Despite the popularity of the dish in the early 20th century, three decades ago the dish fell out of fashion. This, of course, means many modern diners haven’t had it, or enjoyed a good Steak Diane in quite some time. We wanted to remedy this oversight with a slightly more modern interpretation of this nearly forgotten dish. Whisk together the broth, Worcestershire sauce, and mustard. Set aside. Pound the steaks thin, then sprinkle both sides with salt and pepper and set aside at room temperature for 15-30 minutes. Add 2 tablespoons butter to a skillet over medium-high heat. Pat the steaks dry with a paper towel. Turn the heat up to high, and sear the meat for 1-2 minutes, then turn and sear the other side. Remove to a cutting board, tent with foil, and let the steaks rest. In the skillet, sauté the shallots on medium-high heat, stirring a few times. Add the mushrooms, garlic, and remaining tablespoon of butter to the pan. Stir, mixing well and stirring until the mushrooms release their liquid and the liquid evaporates (about 2 minutes). Remove pan from heat, then add the brandy and carefully light with a match to flambé. Continue to cook, lightly shaking the pan by the handle to stir until the flame dies down. Stir in the broth mixture and bring to a boil. Cook until thickened (about 2-3 minutes), stirring often. Stir in the cream and add the steaks and any accumulated juices to the pan and cook, turning the steaks in the sauce until warmed through and the sauce has thickened. Transfer the steaks to serving plates. Stir the parsley and chives into the sauce, and pour the sauce over the steaks to serve.